On Friday, June 2nd, Benarx was awarded a contract for the installation of boxes to Aasta Hansteen Project. This is Benarx's first assignment, as well as the first project with Hyundai heavy Industries as a customer. The contract consists of the installation of approx. 2000 boxes on the platform. Basically, local resources will be used, but also some supervision and modification from Benarx core resources. So far 75% is measured and 35% delivered to the yard. "The installation work has a short time span of eight weeks, making it extra demanding," says Operations Manager for Benarx Solutions Korea, Vahid Abdollahi. He adds that more and more customers in Korea want Benarx to mount their solutions. "It is therefore important to have a good exchange of experience with our colleagues in Beerenberg, making it profitable with top quality and impeccable HSE. 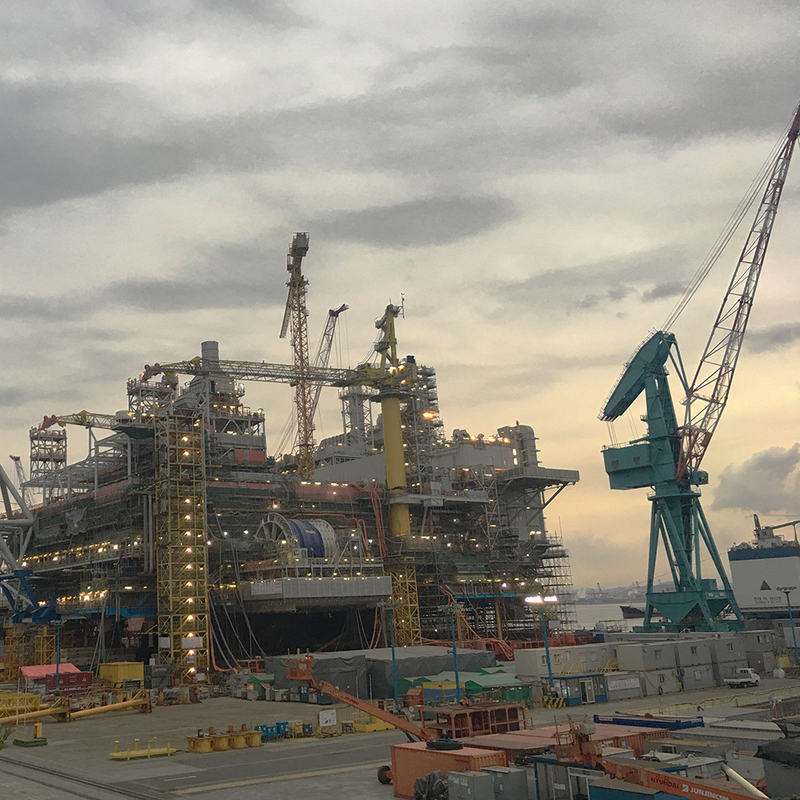 It is not long ago that Benarx was awarded a contract for deliveries to the Aasta Hansteen platform built in the Hyundai yard in Korea for Statoil.